I’ve been blogging for what feels like a hell of a long time now (since August 2009 to be exact) under a couple of different guises, but lately I’ve noticed a huge shift in the industry and community that makes me feel a little uneasy. Suddenly there are debates about buying followers, faking it to the top, and copying, and it makes me wonder when and why everything changed. Innocent tweets are analysed and slated for being offensive, people are calling each other out for the most ridiculous things and opinions are being twisted. Don’t get me wrong, being part of this huge online community is incredible – its something I love to do, a community in which I’ve made some great friends and a hobby that has brought some amazing opportunities, and for the most part its crazy supportive, fun and empowering, but lately things have become very competitive and its difficult to not get swept up in the wave of it all. I’ve also found myself pushing to work harder, meticulously planning, ensuring I get at least a few posts out each week, focusing more on social media and finding the need to step up in case my content gets lost in the sheer amount of amazing blogs out there right now. Now this would all be fine, but I actually work a pretty hectic full time job that requires a fair amount of travelling around the UK, so when I push myself to put in all this extra work, quite frankly I end up feeling exhausted! The thing is, I’m not the only one doing this, and comparison has a lot to do with it. So many amazing bloggers are doing so incredibly well that it’s become their careers, and since we look up to so many of these influencers, there’s naturally going to be a tendency to compare ourselves to them and push ourselves to be just as good, and try to post just as often. Whilst I was busy scheduling tweets and thinking up new blog post ideas a couple of weeks back, I realised that for so long I was trying to please the masses and get myself ‘out there’ instead of creating content that I was genuinely proud of. I became obsessed with the stats and if a post got no comments, I’d beat myself up about it. This has all happened in recent months, and its a huge problem I’m seen so many others talking about on social media. 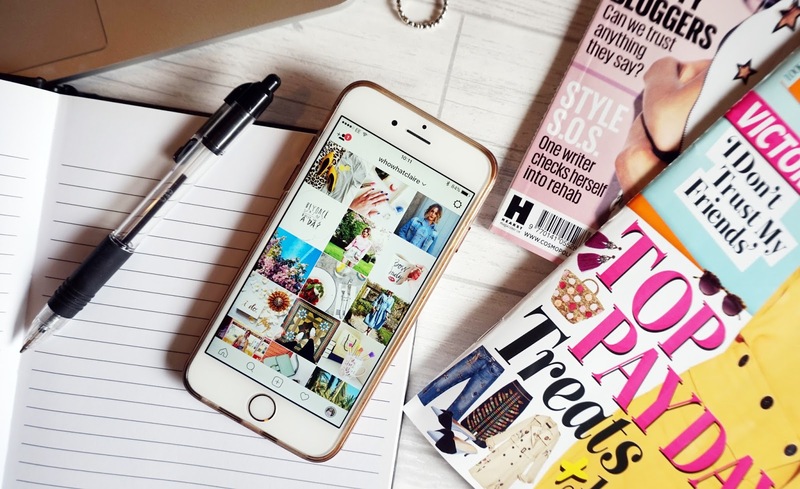 I’ve found myself getting carried away with trying to impress, and when I’ve stopped to take a minute, I’ve realised that I miss what blogging used to be and I was missing my old content. It should all be about creating work that we love, on our own terms, that’s true to ourselves and sharing our thoughts without having to worry about increasing the follower numbers. Why do I have to worry if I’ve enough SEO friendly phrases and links, and why must I find myself wondering if my blog is ‘enough’ for the industry today? Obviously things like self-promotion, post quality and imagery are hugely important in this day of blogging and things I will continue to work hard on, but why does it have to be the be-all and end-all? So right now, I’m focusing on writing about the things that genuinely interest me, wearing what the hell I want for my outfit posts without worrying if everyone will like it, and writing the kind of posts that I love to read myself. I started blogging with no intention of working with brands, making any money or getting myself noticed. I started because I loved to write, I loved having a creative outlet and I was (and still am, probably even more) obsessed with fashion and beauty, and that’s something that I need to remind myself from time to time. Don’t get me wrong, I feel incredibly privileged to have worked with amazing brands and it still amazes me every time a collaboration request pops in to my inbox, as I’m truly flattered and excited by each one, even nine years on. However, being me, and having integrity is something that is way more important than that. Follower numbers are great, but they can’t be forced and will come naturally, so let’s not all lose sleep over the stats, stop comparing ourselves to others and enjoy the community for what it is – a fabulous part of the internet full of creative, talented and ambitious girls and guys, paving the way and breaking moulds! 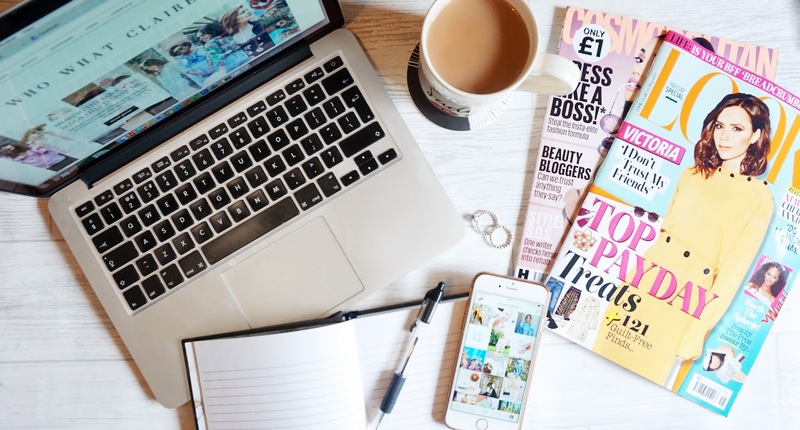 Do you think the blogging industry has changed over the past few years?